Thanks for helping out Heiko. But it doesn't seem to work. Could it be because I have installed ttRSS on a subfolder i.e. /root/MyttrssSite ? Yes, word-wrapping for long titles is working with default preferences. thanks for the hint, this is now fixed. Pull the latest version and line wrap is enabled in Combined feed mode. Can you test if it works with you? Problem has been solved. Now wrapping is working fine. My first post was updated. a new version v1.8 is out. It includes some bugfixes, new toolbar style and a nice feed title. The very first post was updated with new screenshots., respectively the github repository. Hi, thank you for theme. 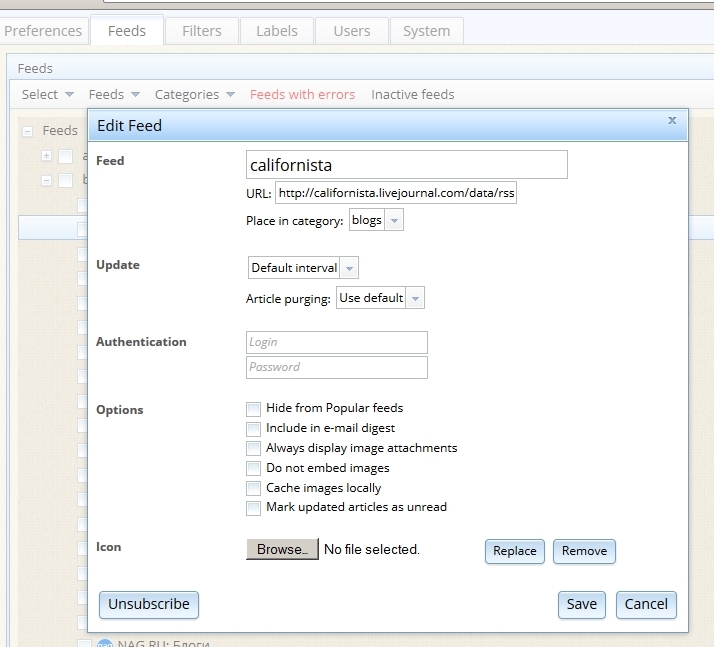 In "preferences" tab "edit feed" window looks fine, but in main tab, input fields without frames. I think "edit feed" need add in exceptions for theme. I had holidays last week therefore the late reply. In my installation the input fields look fine. I'll update tt-rss to the latest version and see if there's a problem with that. Otherwise could you give me some information about your installation? In my installation the input fields look fine. That's mean it's local problem in my install. Then, just do not pay attention to my issue. After updating ttrss to v1.9 (i was still on v1.8x) i saw that a couple of things have changed. especially images (svg -> png) and there is a new floating title bar now etc. I'll update the reeder theme for TTRSS v1.9 the next day. I propose that you try the new Reeder Theme version once it's released, perhaps this resolves the problem your currently having. Reeder theme updated for ttrss v1.9 (should be backwards compatible). 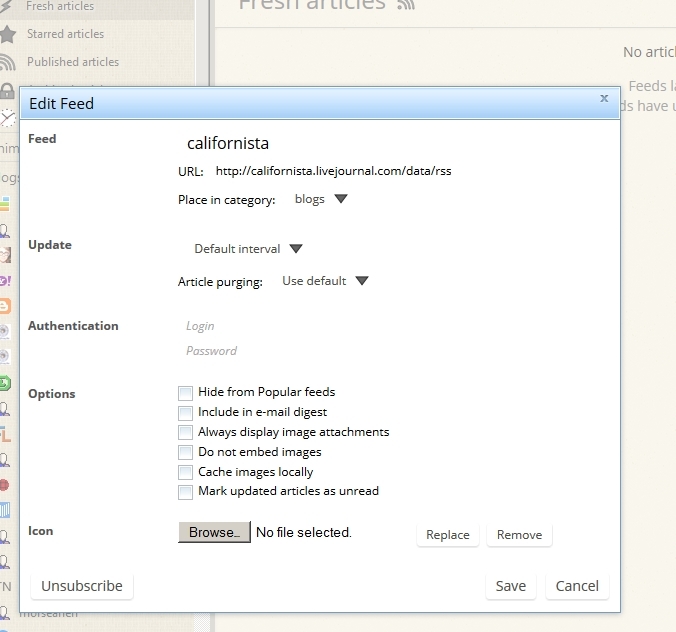 @debianuser try working with the ttrss trunk and the latest version the reeder theme (v1.9). I still don't have the problem you mentioned.